While most people know that their insurance rates will increase if they cause accidents, they may not realize that their insurance companies may raise their premiums when they have been involved in accidents that were not their fault. A recent report from the Consumer Federation of America showed that rates for people who are in accidents that were caused by other drivers may have premiums that increase by as much as $400. California prohibits premium rate hikes for drivers who are involved in accidents that were not their fault, however. This disturbing trend is happening in other states across the country, demonstrating a need for more states to adopt laws that are similar to California’s to prevent this predatory practice. The Consumer Federation of America examined the premiums of five major insurance carriers, including Geico, Progressive, All State, Farmers and State Farm. The organization examined annual premiums in 10 cities across the U.S., including Los Angeles, Oklahoma City, Oklahoma, New York, Chicago and others. It did not find premium rate hikes for people who were involved in accidents that were not their fault in either Los Angeles or Oklahoma City, but it did find significant rate hikes in the other cities. Both Oklahoma and California have laws that make no-fault premium rate hikes illegal while the other cities in the study were located in states without such laws. Among the five major insurers that the Consumer Federation of America examined, State Farm was the only insurer that did not raise the rates of people who were involved in accidents that were not their fault. Farmers and Geico raised the premiums of people who were hit by others by 10 percent or higher. Progressive was found to use a similarly aggressive approach to drivers who were hit by others, raising insurance premiums in eight out of the 10 cities that were in the study. The cities showed different average increases as well. In New York, the average rate hike following not-at-fault accidents was $400 annually. Drivers in Baltimore, Maryland who were involved in accidents that were not their fault had rate hikes that averaged $250, and drivers in Chicago and Kansas City, Missouri had increases averaging $100. The Consumer Federation of America also found disparities with how the rates were raised for people of different socioeconomic statuses. It found that people who had lower incomes were likelier to see larger premium hikes than were people who had higher incomes. In the study, the group requested insurance quotes for two different 30-year-old women who both drove the same vehicle with 10,000 miles on it and who lived at the same hypothetical addresses in each city. The quoted rates were higher for the woman that the organization said had a high school diploma and rented her home than they were for the woman that the organization said had a Master’s degree and owned her home. The organization said that more states should pass laws like those in California and Oklahoma City, which forbid insurance companies from raising the rates of their insureds simply because they have been involved in accidents that were not their fault. 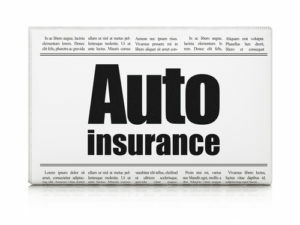 Under California Insurance Code 1861.02 and the regulations that have been passed interpreting its provisions, insurers in the state are prohibited from using not-at-fault accidents as a basis for raising insurance rates of drivers in the state. Insurers may only use accidents in determining their insureds’ driver safety records as factors for rate increases if the drivers held the principal fault in the accidents’ cause. This means that it is illegal for insurance companies to raise the insurance rates of people who are in accidents that were caused by other drivers in California. 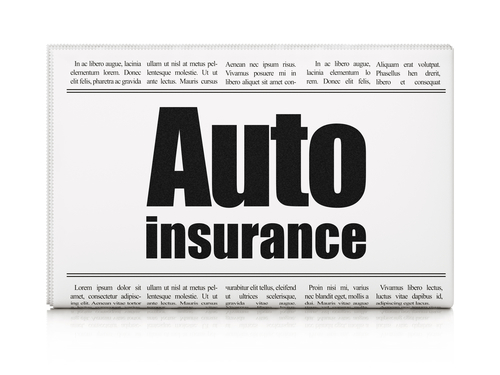 If insurance companies violate the law, they may be subject to substantial penalties. Oklahoma likewise has a similar law, and as the study by the Consumer Federation of America shows, these laws are effective in preventing insurance companies from engaging in such practices in the two states. A large number of states do not prohibit such rate hikes, however. The study demonstrates a clear need for states that do not have laws forbidding this practice to pass legislation that is similar to that of California and Oklahoma. People should not be penalized by their insurance companies for being involved in accidents that they did not cause. The organization recommends that drivers question any rate hikes in their annual premiums. If they live in states that allow premium hikes following accidents for which the drivers had no fault, the organization recommends that the drivers question the practice. They should point out that some companies, such as State Farm, do not raise premiums for their drivers who are not at fault in accidents. In my opinion as an attorney representing auto accident victims against insurance companies to recover monetary damages for wrongful and negligent acts in the “at fault” state of California, I think more states in the U.S. ought to adopt consumer protection laws similar to California. Why should consumers be punished for being involved in an accident that is not their fault? Why should their insurance premiums be raised? If your state does not have a same or similar law on the books, contact your state legislative representatives and demand legal change!